A.K. Mahallati Co.,Ltd is a Thailand manufacturer of diamond jewelry in 18K white or yellow gold, and the diamond and coloured stones used are of very high quality. We have sets, bracelets, bangles, rings, earrings, pendants and lockets, necklaces, chokers, hatpins and tiepins. 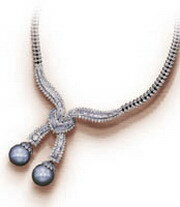 We also have jewelry featuring diamonds and pearls. Among our major customers are jewelry traders from all over the word, and we participate in almost all the international jewelry shows. We look forward to meeting you. 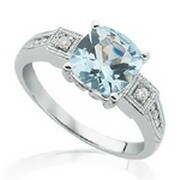 Our jewelry is full of classic looks, enjoying quality finishing and high-value content. The attractions of our creations for lovers of jewelry are their unique designs and patterns. We are delighted with the constant and tremendous responses we gain at international jewelry shows. We try hard to incorporate the themes of Middle Eastern jewelry into European jewelry art - and vice versa. Our progress received an excellent reception at the Basel and JCK New York shows.